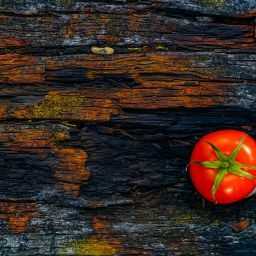 Growing plants inside your apartment is simpler than it sounds and, of all the traditional garden vegetables, lettuce is particularly well suited to growing indoors. Many varieties tolerate fluctuations in light, and indoor temperatures tend to be in the appropriate range for optimal growth (65 to 80 degrees Fahrenheit). Plus, many types have shallow roots and don’t get very tall, so they don’t need a lot of vertical growing space. You can check out our offer of grow boxes, if you’re looking for a stable organic growth environment . A flat surface big enough for one seed-starting tray, about 2 feet long and 1 foot wide. The seed-starting tray mentioned above, plus enough seed starting containers to fill the tray. The containers should be 3 inches deep and 3 inches wide if you plan to grow full size lettuce plants. 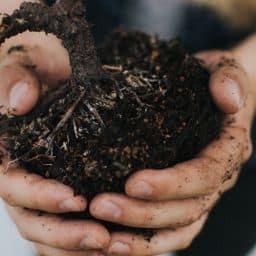 If you create your own, make sure there are holes in the bottom so the soil can drain. The seed-starting tray will catch excess water and soil and keep your shelves clean. A grow light that accepts T8 and/or T12 florescent bulbs. Make sure there are hooks and chains on the top so you can raise and lower the light and attach it to the shelf/ceiling above. Two florescent bulbs for the grow light. When in doubt, make sure you choose bulbs that mimic natural daylight! This is key. If your lighting doesn’t emit the right spectrum or intensity, your plants will sprout but won’t be able to photosynthesize enough to grow. Wire shelving. Optional, but most people who have indoor setups use wire shelving for ease of cleaning and because it’s easier to hook up the lighting. You can use an empty bookshelf or a corner of the kitchen counter, so long as the grow light can be suspended above the plants. The setup is pretty intuitive: grow lights are suspended above the plants, which are planted in the seed starting containers, which in turn rest in the seed starting tray. If you’re okay with smaller plants (really, if you don’t have a south facing window with a lot of light, they’ll be runty), skip the grow light setup and see the P.S. below. And remember, plants need darkness, too. Many are sensitive to day length. Generally, for a spring plant like lettuce, 12–16 hours a day will work fine. Flip the lights on when you leave the house in the morning and off when you return. Picking what you want to grow! The most forgiving lettuce varieties for beginners will be ones with some shade tolerance. 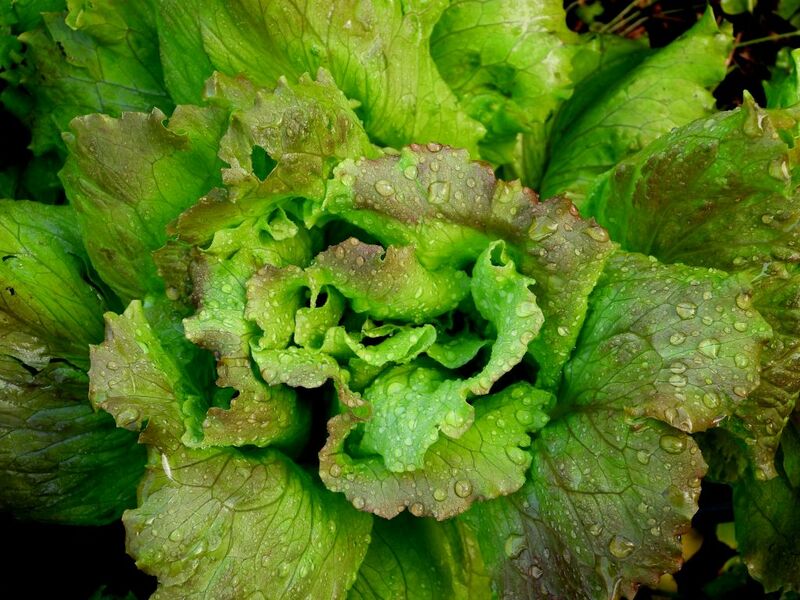 Heading lettuces are a little pickier about their environment, so you’ll want to choose “cut and come again” types. 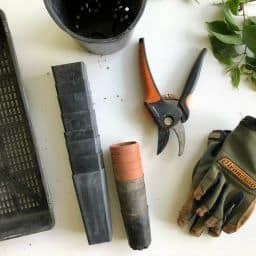 Also known as loose leaf varieties, they’re best for continual harvests: You can chop off all of the leaves about an inch above the soil, and with enough water and light the plant will produce a new crop in a few weeks. Two popular varieties are Black-Seeded Simpson and Oak Leaf. I’ve had good luck with red and green salad bowl, and yes, those are their real names. A word of warning – lettuce leaves tend to get tougher and more bitter each time they grow back. 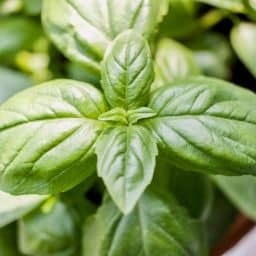 Depending on your flavour tolerance, after the fourth cutting, you’ll want to start a new plant. Plant the seeds according to the instructions on the package, and water regularly. Keep the soil moist but not saturated, and if you notice that the seedlings wilt and fall over after sprouting, start watering them less. (It’s probably a disease called damping off). The plants will grow better if you can adjust the grow lights over time so that they’re always just a few inches above the top leaves of the lettuce. For full-sized harvests, cut the leaves back when they’re about four inches long. 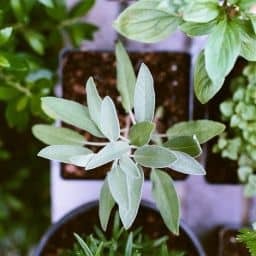 You can wait a little longer or a little less – give yourself some time to learn how the plants grow and at what size you think the leaves taste best. I like to eat them smaller, since they pack more flavour and are less bitter. And that’s it. Like all gardening, it’s simple. As long as you pay attention, keep the soil wet and the lights on, you’ll be harvesting greens for weeks to come. P.S. Want to grow a micro-greens salad instead of a full size one? If you have a sunny window, you won’t need grow lights. Try sowing a mesclun mix very shallowly. 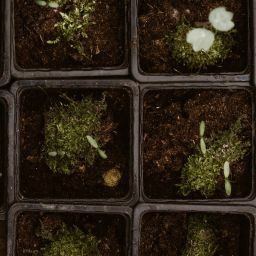 When the sprouts emerge and get their first set of true leaves (the leaves that look different than the seed leaves), cut them just above the soil line. Rinse thoroughly, and enjoy your homegrown meal.